After a fairly lengthy wait for its release, it has finally arrived and now the fun begins for all you SlingBox owners out there. Provided you have one of the supported devices and a SlingBox you can now take advantage of a free 30 day trial of Sling Mobile for BlackBerry and if ya dig it enough you can get all the service you want for $29.99. A quick look through the forums shows a lot of users are already digging their services, so what do ya say folks? Will you be joining in on the action or passing it up? Or maybe you already got yours and wanna tell us all about how great it is... be sure to hit up the comments and let us know what's up with SlingBox on BlackBerry. 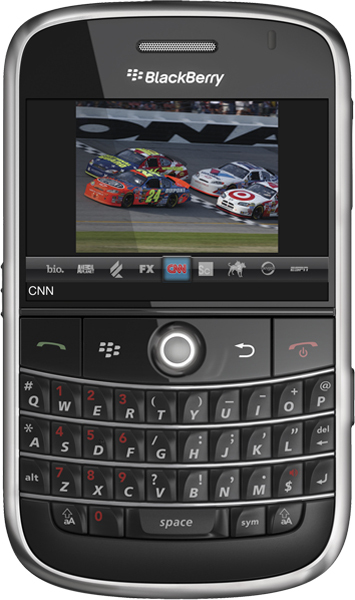 For more information on Sling Mobile for BlackBerry check out Sling Media's site and if you are already set up and just need to install the app point your BlackBerry to the mobile site to get up and running.